Whatever you call it, this spice mix is hot. Portuguese sailors brought the piri piri (pepper pepper) with them to North Africa. There the locals incorporated it into their cooking and this fiery dish was born. These wings get a double dose of heat both from the berbere seasoning and shot of hot sauce. Make a rub by combining the salt, sugar, garlic, onion, pepper, lemon, and berbere in a small bowl. Dust the wings with the rub, making sure to cover both sides. Set a cooling rack on a cookie sheet or jellyroll pan. Lay wings out on a rack and let them sit uncovered in the refrigerator for at least 2 hours, and preferably overnight to let the rub do its work and for the skin to dry out a bit. Set your grill up for a raised direct cook at 350°F. On the Big Green Egg I used an extender to move the grate up to the level of the rim, putting the chicken further away from the heat. When the grill is ready, put the wings on the grill and cook undisturbed for 30 minutes. Flip and cook for another 20 minutes, or until brown and crispy. Baste the wings on both sides with the hot sauce. Let them cook for another 10 minutes, then baste again. Serve with bleu cheese dressing and the reserved sauce for dipping. 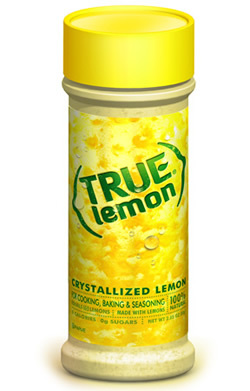 New product – I enjoyed True Lemon’s powdered drink mixes this summer and was glad to see that they had come out with powdered flavorings too. The crystallized lemon gave the rub a nice bite in addition to a fresh lemon taste. I’m looking forward to trying out their Orange Ginger seasoning next.